Hai Yen Hotel is located on Tran Phu boulevard lying along the nice sandy beach of Nha Trang,2km from train station.The Hotel consists of 120 modern well equipped rooms and 24 of them are French Villas. Hai Yen consitsts of 3 confernce rooms equipped with mordern sound light system, OHP, LCD, TV, VCD, CD, videohead, flipchart, white screen and white board: 20 seat room with U shape. 60 seat room with U shape and class room shape. 140 seat room with U shape and 200 seat with class room shape. 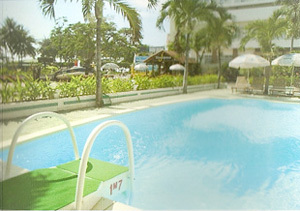 Entertaiments: Karaoke rooms,billards,tennis,swimmmingpool,Sauna,massage services make your stay in Hai Yen enjoyable. Buulet party,wedding: HaiYen Hotel has two restaurants and two bars.The indoor restaurant has capacity of 550 seats with Asia and European dished.The indoor and the open air Areca bar make your night time a pleasant one after dinner.The Hai Yen restaurant alsa specializes in organizing Buffet Part and Wedding Part upon guests requests. The room facilities at Hai yen Hotel in Nha Trang include a plethora of modern facilities that are at par with the international standard of three star hotels. The rooms are equipped with modern facilities that cater to the needs of both the leisure hunters and the business travelers. 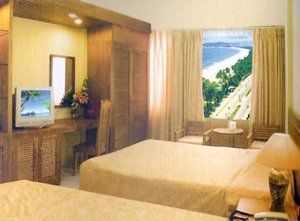 The accommodation facilities at Hai yen Hotel in Nha Trang include 110 rooms. The room facilities include 32 first class garden view rooms, 38 first class sea view rooms, 20 first class villas, 7 deluxe rooms and 6 suites that have exclusive living rooms and bed rooms. The villa styled accommodation options best suit the needs of the tourists who come with their family members. The first class rooms are provided with an attached balcony. The suites overlook the sea beaches. They also have carpeted floors. The rooms are well furnished with two single beds or a large double bed. The rooms also have wardrobes, drawers, dressing table, chairs and bed side tables. The large windows with floral window drapes and the fresh linens add to the beauty of the rooms. The rooms are equipped with contemporary amenities that cater to the needs of both the business travelers and the leisure hunters. The room facilities at Hai yen Hotel in Nha Trang include individually controlled air conditioner, international and domestic direct dialing facilities, color television set, mini bar and refrigerator. The room facilities at Hai yen Hotel in Nha Trang also include tea and coffee maker in the rooms. There are also attached bathrooms in the room that have modern bathroom fittings and also complimentary bathroom amenities. The bathrooms have a bath tub or shower facilities for the convenience of the guests. The room facilities include hair dryers in each of the rooms. Hai yen Hotel in Nha Trang also offers prompt and efficient room service so as to ensure the comfort and convenience of the guests. * The images shown are for guidance purposes only. You may stay in a room wich is different from the examples shown. 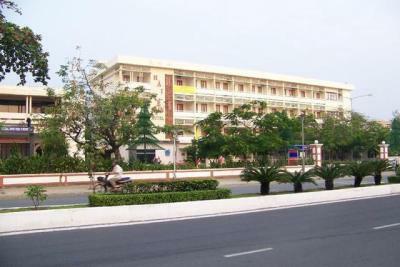 Hai yen Hotel in Nha Trang is one of the most frequented hotel sin Nha Trang in Vietnam. Offering a plethora of hotel amenities and services at Hai yen Hotel in Nha Trang include a plethora of facilities cater to the needs of both the discerning travelers and the leisure hunters. The hotel amenities and services at Hai yen Hotel in Nha Trang include extensive dining, business and recreational facilities. The dining facilities at Hai yen Hotel in Nha Trang include a 2 signature restaurant that offers Vietnamese cuisines and also Asian cuisines to the guests. The guests can choose from a wide assortment of local and international cuisines. The 2 bars in the restaurant are best places to sit and relax for an hour two. The bars offer a wide range of drinks and beverages to the guests. The hotel amenities and services at Hai yen Hotel in Nha Trang include a wide range of business facilities. The hotel can not only host conferences but there is also a well equipped meeting room for the convenience of the corporate travelers. The hotel provides over head projectors, slide projectors, television set, video and also microphones and sound system. The hotel also offers facilities for internet browsing facilities and we mail services. The recreational facilities at Hai yen Hotel in Nha Trang include an outdoor swimming pool, tennis court, sauna and massage services, Jacuzzi facilities and also billiards room. The guests will also find karaoke facility and a dance floor in the rooms. The guests, staying in Hai yen Hotel in Nha Trang can engage themselves in water sports near the beach. Other hotel amenities and services at Hai yen Hotel in Nha Trang include car rental desk services, canoe rental services, baby sitting facility, room service and also laundry and dry cleaning facilities. You can also avail the facility of safe deposit boxes in the front desk, car par space and also a reception desk. 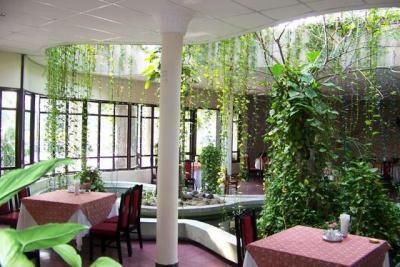 The hotel offers ticket booking services and also travel and tourism desk. Hai yen Hotel in Nha Trang also houses a boutique shop and a beauty salon for the convenience of the guests. Our hotels locate along Nha Trang beach with comfortable and spacious rooms, parking lots, European - Asian cuisines, seafood and Vietnamese cuisine. Other entertainment services: massage, karaoke, dancing, tennis, billiards, swimming pools are at your services. Especially traditional music show every nights (Free). Foreign currencies exchange, and VISA, MASTER, JCB, America Express are acceptable. The package tours to the South East Asia"s countries and China. Scuba diving, holiday in Nha Trang. The countryside and floating market in Mekong Delta.